Commander Norbert Frischauf summarizes the first all-Austrian MDRS mission, in April 2006. 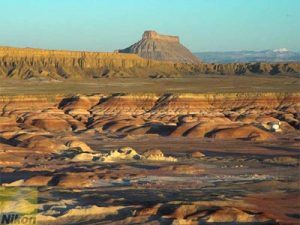 182 people applied to become a crew member of the AustroMars mission, 6 + 3 back-up crew member were selected and were 3 weeks in Utah at the Mars Desert Research station. After a public announcement for participation in the AustroMars mission, 182 persons had applied to become a member of the flight crew. Out of these 182, the final participants were selected over a duration of 5 months, including medical, psychological and knowledge-based tests. While the first training sessions started already in December, the final crew members and their backups underwent an additional extensive training in February and March. Flight Crew and the On-Site Support Team left Austria early on Friday 31 March 2006, then spent a day in Salt Lake City acquiring the remaining equipment and supplies. We arrived at the Hab on Saturday 1 April 2006 and took over the station from Crew 47’s Commander, Jan Osburg, around 10:00 the following day, after we had received an excellent MDRS training by crew 47. The rest of Sunday was spent with the unpacking of stuff, fixing of the ATVs and a successful test-flying of the Aerobot. On Monday the unpacking of specific gear continued and Wendy got fixed again (exchange of broken starter). MSL and MSP went to Salt Lake City to retrieve the AustroMars Rover, while the rest of the crew did some photo and video shooting together with the Austrian Broadcasting Corporation. Tuesday saw the execution of a successful Search and Rescue dress rehearsal. Also the Aerobot was finally outfitted with a “Black Widow” Webcam, which was tested successfully, unfortunately we could not test fly the Aerobot because of very strong winds. Both the PsychoMars and MedMars experiment were initiated to have a base line sample. On Wednesday, the AustroMars Rover “Sissi” was successfully started up (at least partially); the MedMars Monitoring experiment and a dress rehearsal of the EVA suit donning procedure was held. Thursday featured a public outreach activity in the morning during a live telecon with the Austrian Secretary of State Mr. Eduard Mainoni while he was visiting the MCC Salzburg. 30 guests and several media representatives from TV and print media attended the event. Inside the MDRS, the preparation of the laboratory area continued, the EVA room was cleaned up and an airlock light installed. We finalised the sealing of the window and installed a battery terminal. Alexander, our First Officer, celebrated his 28th birthday and stated that this was for sure the most peculiar one in his life (so far). On Friday, we did the final preparation of the Hab for the start-up of the simulation. The rover preparation was successfully finished, hardware and software are running and the rover made its first movements outside. Our “part-time crew” (TV team, newspaper contest winners, artist) left early afternoon, leaving just Crew and OSS at MDRS site. OSS procedures during Simulation were finalised together with Mission Control in Denver and MCC Salzburg. There was also a public outreach activity in the morning during a second live telecon, this time with the Govenor of the Federal State of Salzburg, Ms. Gabriele Burgstaller, during the MCC-organised “Mars Party” in Salzburg, involving dozens of guests, families of the crew, VIP, etc. We entered full simulation mode as planned on Saturday morning, immediately before sunrise. The AustroMars mission was then officially started at 0500 with EVA crew #1 (Frischauf, Groemer, Soucek) being deployed northerly of WPT 359. After a walk through the dawning of the day, the crew reached Repeater Hill just in time to see a magnificent sunrise behind the Hab. Following some minutes of calm and enjoyment, the crew inspected the outside of the hab and then entered the main airlock for a 10min re-pressurization. After the EVA was completed, EVA Crew #2 was cleared to leave the descent vehicle at landing site and approach the hab, where the crew (Spiss, Kandler, Hutsteiner) arrived shortly after 10 a.m. The rest of the day was extremely busy with establishing power and communication, storing equipment, declaring Hab ground safe, etc. Various experiments started today already, including: Myograph, fluid balancing, installing of Object tracker experiment, medical routine measurements (weight, blood pressure, body fat and body water), saliva sample, skin probe sample. During the first official night on the Red Planet, everyone recovered from the previous day’s early morning landing. Sunday chased the crew out of beds at 0600. After breakfast and power check, N. Frischauf (CDR) and Christian Hutsteiner (FE) prepared for the first regular EVA, which served as engineering EVA checking the outside of the Hab, the ATVs, the Greenhab (outside), etc., leading to ground operational declaration. No anomalies reported. During this EVA, Frischauf and Hutsteiner also took a camera with them, and the real-time videos received were stunning. A second EVA afterwards was conducted to take Geology emergency samples, preparing for an eventual emergency return to Earth. Other activities of the day included Rover testing and work, the Pupillograph experiment, the PsychoMars questionnaires and saliva samples, and more. Monday was marked by two EVAs, the first one for BioMars sample return, the second one for WLAN installation and operation testing. The BioMars EVA resulted in six samples taken and brought back under sterile conditions; all samples were procured in the AustroMars Glovebox during the afternoon. Other activities of the day included saliva sampling, reports, work on broken PLSS #3, and the first test batteries for the FAtigue Monitoring System (FAMOS) experiment. Two hobo spiders were discovered in the crew quarters. The power issue of the first few days had finally been solved. Tuesday’s main activities during the morning included the second BioMars EVA covering a total distance of 16km and collecting 10 samples, media activities (switch-x videoconference system in superior quality), another Rover test (the crew does not give up and chases two electronic problems, one in the power distribution system, another in the Telecommand Unit) and EVA planning for tomorrow. The afternoon was intensively packed with diverse tests, including, as every day, the Pupillograph, FAMOS, Object Tracker, urine samples and others, as well as a new psychological test (CogHealth). Furthermore, primary cultures were procured from todays biological samples in the GloveBox. Power issues have stabilised. Everything was on track. The crew shot a Yuris Night video to greet all participants of the next day’s world space parties. Wednesday started with the third LiMa (Life on Mars) EVA in three days, again collecting samples from two WPTs, and, filling the last 30min, trying to fly the Aerobot, a flying device with mounted optical MiniCam for local area reconnaissance. Due to heavy winds, however, this testing had to be postponed. Breakfast and lunch were framed like every day by various tests (FAMOS, Pupillograph, medical measurements). In the afternoon, the second EVA crew of the day prepared for a novelty in the history of the MDRS: For the first time, sterile suits were used on top of the EVA suits to quantify contamination during an EVA, in general and locally on different areas of the suit (also, micro spherules were applied on one normal EVA suit to quantify cross-contamination). This extensive experiment required two hours for suit-donning, including two assistants in sterile TYVEK suits. Difficulties were discovered only from a technical point of view (attachment of sample bags and fragility of sterile silver-gold suits). Nevertheless this first AustroMars Track and Trace EVA added a unique new feature to the list of MDRS experiments and discoveries; the sample patches will be procured and examined in the coming days, and the crew eagerly awaited the second attempt the next day, combined with a MedMars rescue operation simulation – a challenge, that’s for sure. After a new round of skin and saliva samples early evening, the crew prepared for the first relaxing evening of the mission: to celebrate Yuris night on this very special 12th April 2006, 45 years after the door to human endeavours in space was first opened. Thursday saw a mission feedback and wrap-up session in the morning and a medical rescue operation EVA in the afternoon. The EVA was originally intended as a geological excursion to take more samples from a site where white piles indicated gypsum abundances south of Phobos Hill. After taking that sample, XO Soucek in a “intended” mission anomaly- fell down and injured his right ankle. A level 3 emergency (means: abort EVA; secure equipment and crew, return to station) was declared and telemedical support initiated by the Habcom to the Flight surgeon team at Mission Control. Two additional Crewmembers donned their suits in an emergency procedure which allows for a suit-up in about 20 minutes (instead of 60 minutes). The medevac team arrived about 30 minutes later on-scene, bringing a) equipment to stabilize the injured leg and b) to administer a liquid “analgesic” (lemon juice) into the drinking water system of the patient. In an exhausting exercise, two EVA-team members carried the patient back to the hab, cycling him through the airlock and provide further medical treatment including the application of a cast. Friday was a day of relaxation for the crew as no EVA was conducted. Activities concentrated on an extensive documentation of samples and data collected so far. Housekeeping procedures and daily tests (FAMOS, Pupillograph, Object Tracker, saliva and urine, medical basic data) were undertaken as well as the third part of the PsychoMars questionnaire battery. GreenHab work concentrated on fixing of the grey water sump pump and of the WebCams. Saturday saw three EVAs involving five crew members. The first EVA was devoted for radiation shelter management (filling of sandbacks, medical measurements), the second EVA for GeoMars (sample collection), the third EVA for repairing and testing Repeater Hill station and testing Aerobot. Various Hab activities including the bi-weekly safety check (smoke and CO detectors, fire extinguishers, airlocks), greenhab and housekeeping were undertaken. A successful test of the Aerobot took place in the afternoon, as well as a Crew feedback session with the MCC in the evening. Sunday three crew members attempted the first long-range GeoMars EVA to White Rock Canyon. They collected various important geological samples and applied drilling techniques. Meanwhile the remaining crew had to fight against the storm and was forced for a short moment to break simulation in order to climb to the roof and fix a part destroyed by the wind. The operation was successful, images and a report on this event had been sent by MSL M. Spiss. The day ended with a simulated radiation warning and the crew spending two hours in the airlocks, our radiation shelter. On Monday there was a short power cut between 1810 and 1830. We had also no internet connection as of 1500, but it was restablished at 1900. Very strong winds shook the hab, but no further damages to the hab structure occured. Crew secured outer hatch of main airlock after a strong gust had opened it (although it was firmly closed, as indicated by green airlock light). No damages, as outgoing EVA crew was in airlock at that time. With Sol 9, the crew of AustroMars added another aspect to its intensive program: From now on until the end of the mission, we have switched to “exploration mode”, based on a simulated discovery of traces of methane and water vapour at Factory Butte. Various scenarios and activities were being worked out together with MCC Salzburg, including establishment of long-range communication. Due to the high workload of the entire team, the crew’s day started at 0500 sharply and included a long-range scouting EVA to Coal Mine Wash and an Engineering EVA to establish a new WLAN network. All scientific test series were continuing as usual, on top of the new scenario. The crew was extremely motivated and therefore had no problems with the prolonged daily schedules to come. Very strong winds in the entire area required careful work, especially during EVAs. The long-range scouting EVA had marked about six new waypoints which were detailed in the respective EVA report, and two new names for formations discovered on the way. Tuesday was a calm sunny day, and the Hab did not disintegrate any more because of storm. Everything was in good status, except the nominal internet connection. From that time on until the end of the mission we were relying on WildBlue sat connection and it proved to be reliable. Nevertheless the normal connection disabled by yesterdays storm will have to be re-established. ATV3 – suffering from a flat tire when an old tire patch failed – was running again and in perfect shape after repairs. Generator was down most of the day, at 1800 we were still running on battery, but work was going on to fix the problem. Tuesday’s main activity was a five hour emergency rescue operation EVA to train the rescue of an astronaut out of a (small) canyon under sim conditions. For this, AustroMars brought extensive equipment from Austria’s Mountain Rescue Association and MSL M. Spiss, a trained mountain rescuer and expert, conducted the test. Everything worked well and we proved, both from a medical, engineering and logistics side, that such rescue operations are feasible and, given the right equipment (in this case specially designed by Austria’s Mountain rescue association, patented and worldwide in use), safe and effective. The afternoon saw another engineering EVA to Repeater Hill in order to work on the WLAN network as well as to test the Aerobot. Besides, all scientific test were successfully performed as usual. Wednesday featured a one longe-range combined BioMars and GeoMars EVA, performed by the XO, the HSO and the FE, led to interesting areas around the waypoints 235 and 239. The EVA crew took a dozen new waypoints and samples. A sterile external suit was in use again, as well as micro spherules applied to special patches on a normal suit, to measure cross-contamination. While the three person EVA crew was on mission, Mission Control surprised the remaining analogue astronauts with a medical anomaly (CDR was seriously burned by a small explosion in the labor), which they mastered without major difficulties (even though HSO was on EVA) – thankfully the crew ha d an extensive first aid training beforehand. The day concluded with reporting and science test cycles. On Thursday we found out that the 12 V bilge pump was not strong enough to pump the water from the greywater tank into the Greenhab – FE and MSL found an interim solution with a bucket at ground niveau, where one pumps the greywater from the tank in, afterwards the 12 V pump can take it from there. In the morning Mission Control injected a medical anomaly – at 09:30, our Health and Saftey Officer “fell off a ladder” and got a deep, strongly bleeding wound on his left lower arm, which had to be treated immediately. As also the second medical expert of the team, our Mission Scientist for Life Sciences, was not available (GreenHab duty), two “greenhorns”, CDR and XO, had to help, and XO performed a two-hour surgery stitching the wound in a sterile environment, demonstrating that such proceedings can be undertaken in the confined environment like the MDRS hab. The afternoon featured another long-range EVA (CDR, MSL, MSP), combining engineering tasks and geological sample collection, and leading to Skyline Rim on foot. From there, direct Vox contact could be established with the Hab without Repeater Hill’s help. Friday, the last day of the AustroMars Mission saw a finale that was absolutely in alignment with this remarkable mission. Besides the usual communication issues with our primary satellite connection, which is constantly interrupted for very long periods and then starts to work surprisingly again, our Mission Control Center in Salzburg had organised the flight plan in such a way that two teams would explore Skyline Rim in alignment with Operation Edelweiss. As on the day before, we were again able to establish direct radio communication with the MDRS from the edge of Skyline Rim. But as the quality of the signal was today only bearable and sometimes communication could not be continued at all, any crew that intends to follow our footsteps, continuing the exploration of Skyline Rim, should make sure the radio repeater at Repeater Hill is fixed and operational again. Once we had left Skyline Rim, HSO, XO and CDR wanted to go to a specific point at the Tank Wash to obtain some geological samples. Unfortunately this EVA had to be aborted on the way to the geological site because of radio communication problems. In the evening the whole crew gathered in the MDRS again, packing stuff and preparing for the flight home to mother Earth. This last evening was of course something special and we intended to celebrate it in a way that none of us will ever forget it. On Saturday morning the door of the MDRS was again opened and immediately thereafter we met our On-Site-Support team, Johannes Nendwich, René Vidalli and Johannes Gross, as well as Andreas Köhler, our photographer – AustroMars was successfully finished after 3 weeks of intensive preparation and execution. Out of the 20 AustroMars experiments, 17 were finished successfully as planned, further analysis is still pending. For two of the remaining ones (FoodMars and TeleMars), the scientific return is less than expected because of events that were not anticipated, hampering certain aspects of these experiments. The Rover was partially successful as it proved its functionality in the Martian terrain, but could not be further tested due to a technical defect, which could not be repaired with the limited resources available at the MDRS. Detailed research results will be compiled in a comprehensive Final Report, which is expected for end 2006, available online at www.oewf.org. dozens of radio and internet interviews, a plethora of complementary measures, like exhibitions, guided tours, class rooms presentations, K-12 outreach and the organisation of large local and national events. In summary, Crew 48 “AustroMars” accomplished nearly all of its ambitious research and engineering goals and had a great time together. We are extremely grateful for the support of the Austrian federal ministry of Transport, Innovation and Technology, as well as other major entities, enabling us to acquire our research equipment and cover shipping and transportation cost. We also very much appreciate the support from our On-Site-Support Team as well as that of the Mission Control Center in Salzburg. 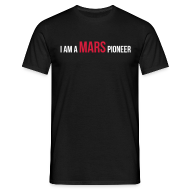 And then nothing of that all would have been possible without the support we have received from the Mars Society and its dedicated team of mission support volunteers.